The day my daughter’s phone broke, and she thought the world would come to an end, was nothing compared to when her computer stopped working. I have to admit, I could live without a phone temporarily, although our kids’ phones have become their life-lines; but when a computer malfunctions and all the work you did previously can’t be accessed, or worse, may have been lost; it may feel like the world is coming to an end. The good news is that it isn’t. There are a few repair services available right near campus for those moments. I do, however, highly recommend a backup system. I presently use Mozy for myself and my student’s computers. It simply backs up their computer daily (or however they deem necessary) so if you ever run into a jam they don’t have to panic that all their work has been lost. As for the phone, encourage them to plug it into their computer (or some use i-Cloud) once in a while to be sure all their contacts and photos are backed-up. I also highly recommend a good phone case. My son complained they were too bulky, but after the fatal dropping of his phone, I insisted that the new one wear a phone-case and he acquiesced. They can find some fun cases on Casetify so perhaps they won’t complain as much about having a case on their phone. Casetify even offers a 15% student discount with a verified student status registration or link through and get 20% off entire order when purchasing two items. They will thank you later. Tallahassee does not have an Apple store, but your student can send in their product for repair by going through the Apple website or calling their support line. They will send a box to collect the device and send back when it is repaired. If your student is anything like mine, they may not be that patient. There are several Apple Authorized Service Providers in Tallahassee. Cell Phone Repair FSU (CPR) was located right on campus but with the Union closed for renovations, check out their other location at 1492 Apalachee Parkway, Unit 11 near Best Buy. Computer Repair Doctor at 523 East Tennessee Street gives free estimates and specializes in repairing computers, laptops, iPhones, iPads, and tablets. uBreakiFix is at 1670 W Tennessee Street. 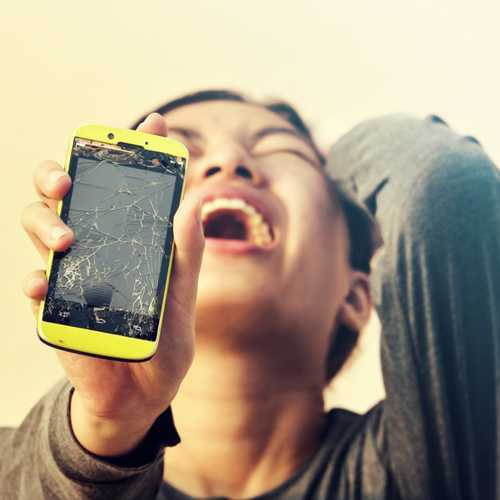 Most repairs on Smartphones and computers are completed the same day and all their work is backed by a 90-day warranty. They will price match any competitor. Best Buy Geek Squad at 1400 APALACHEE PKWY Their agents provide repair, installation and setup services on all kinds of tech – including computer repair, setup, and support. No matter where you bought your computer or phone, they will help. FloridaPro – located on Thomasville Road, they offer Mac repair and maintenance and offer free diagnosis. Check their website for prices. The Phone SHoppe- Located on Capital Circle, they specialize in broken iPhones and Androids, non-working laptops, computer virus removal and more with free diagnostics. Some of the above locations will appear on the “Hooked” app showing specials. It is definitely worth a look before you go as it could save you some money. None of the locations above listed anything about a student discount, but it can never hurt to ask. Sometimes Groupon runs deals and occasionally the Hooked app has deals for 15-20% off at some of the locations mentioned above.